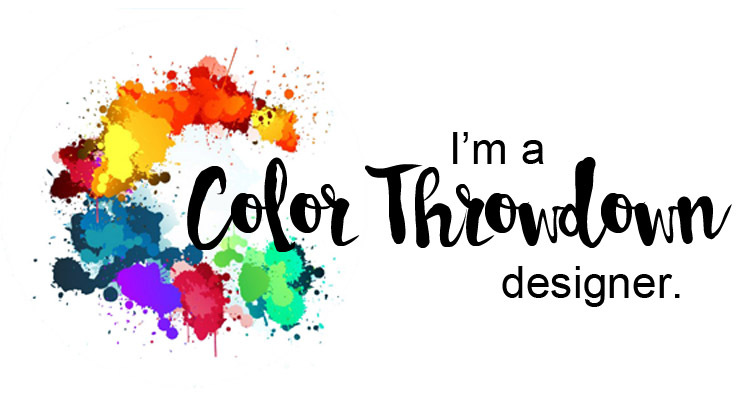 It's another Wednesday and that means it's Color Throwdown Challenge time! Kerri has a great summery color palette this week that was inspired by this beautiful beach umbrella. 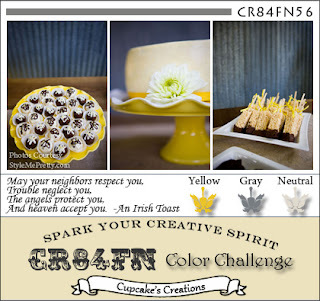 I thought the colors would work well with this digi image I found while surfing the net and landing on the Gooseberry Patch blog. 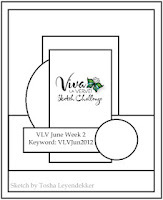 I used Teresa's great Viva la Verve sketch for Week 4 in the Verve forum on SCS - tweaked it a bit, but think I kept the basic elements in there. 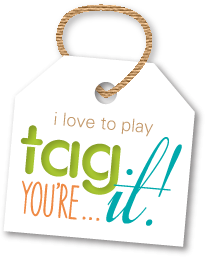 We'd love to have you play along with us! No worries if you don't have the exact colors...just pick something close and have fun! 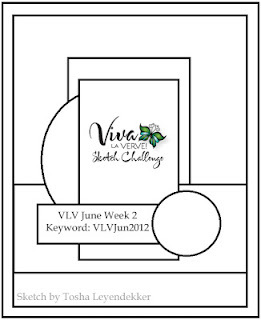 For more inspiration by the rest of the design team and our fabulous June guestie, Anna Wight, you'll want to go HERE. If you post to a public gallery, please use the keyword: CTD198. 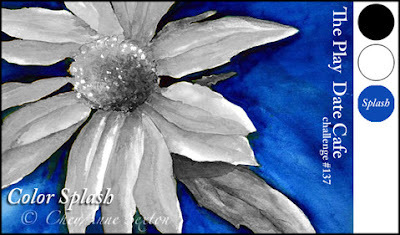 Jen Shultz has a great layout for this week's Deconstructed Sketch Challenge and I used the colors in the Play Date Cafe Challenge to use black and white with a splash of blue. I love this butterfly image...colored it with Copics: B21, B23, B24, B26, C3 then fussy cut and popped it with X-Press It foam tape. 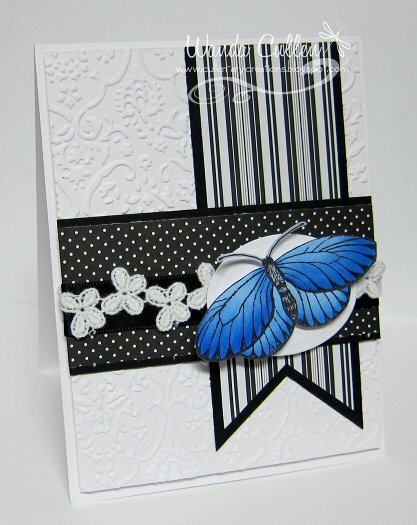 ACCESSORIES: Butterfly lace trim by Wright's, Black satin ribbon, Oval Nestie, Flag die by 'Lil Inker Designs. 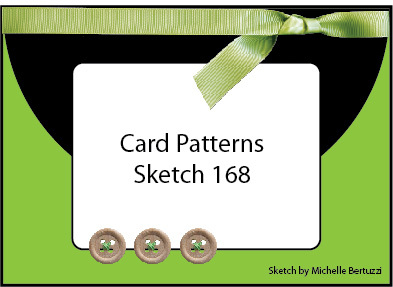 Holly has a fabulous sketch over on SCS for this week's Sketch Challenge! 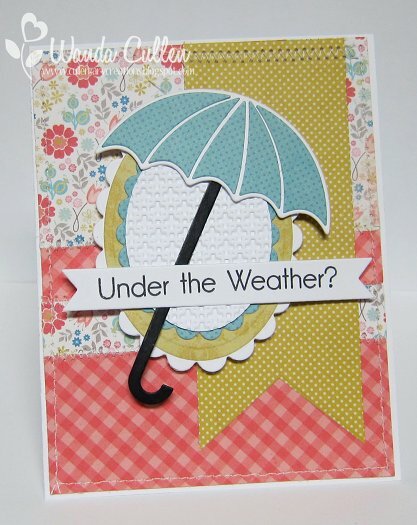 I decided it was time to piece another fun umbrella using MFT's Die-Namic that coordinates with their Umbrella & Stamp set. 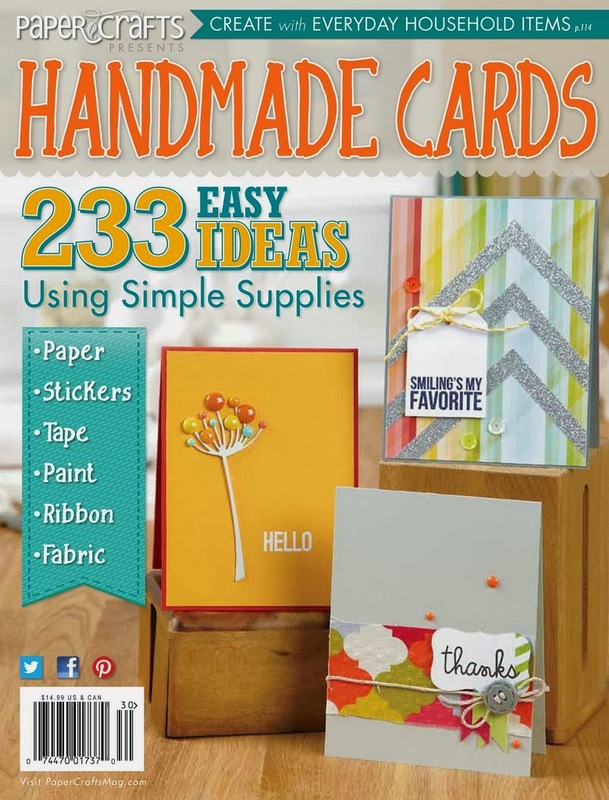 The large banner was cut down by 1/4" on each side after using 'Lil Inker Designs die. Paper is from MME's Miss Caroline collection called "Dolled Up". Good Wednesday morning! 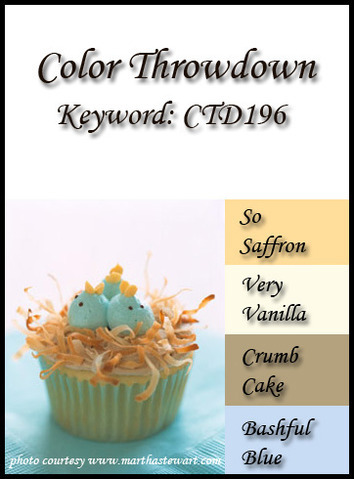 For my Color Throwdown card, please scroll down to my next post. 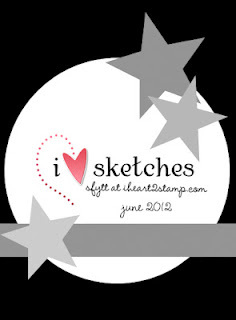 I've been a long time fan of Karen Giron's sketches and this week is one of my faves! I really wanted to add stitching to my card, but I started it late last night after coming home from work and my noisy sewing machine would not have made my sleeping husband very happy! The flowers were die cut and popped with foam tape. Have a great day and thanks for stopping by! ACCESSORIES: Joyful Blooms die set by Verve, Ribbon banner die by Verve (I cut the banner to make it narrower), Elegant Leaves die by Verve, Black pearls. It's Wednesday and that means it's time for another Color Throwdown Challenge! Aren't these some fabulous colors?!! Thanks to Joan for being this week's hostess with the mostest! 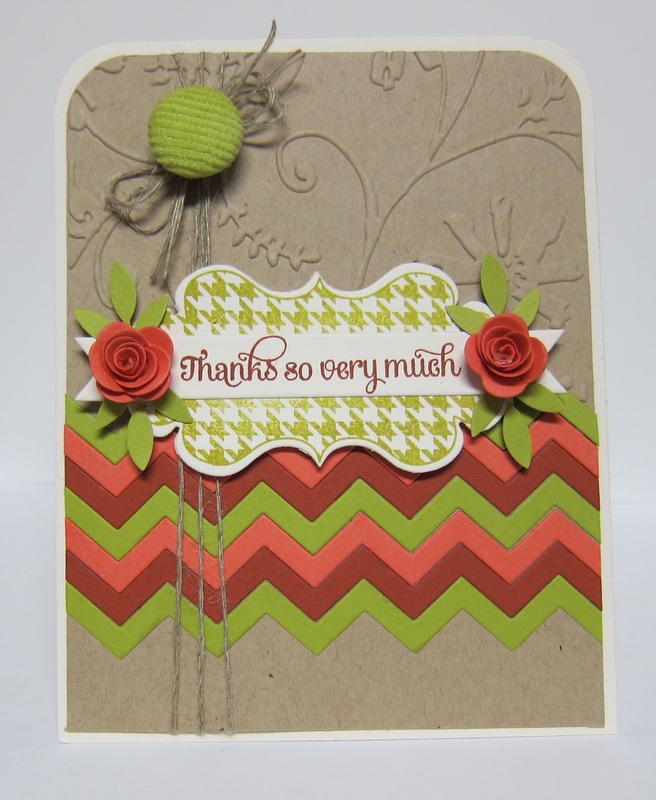 A little BG embossing...bold and beautiful chevron stripes...my fave jute twine...sweet little rolled roses, a kiwi corduroy brad (going to be sad to see my supply come to an end very soon) and this great banner sentiment layered over a houndstooth die! I just love my corner chomper and couldn't resist chomping away...again - lol! Did you notice this is challenge #197??? Our 200th challenge is around the corner and there will be lots of goodies given away by the design team, so be sure and keep your eyeballs peeled for the details coming soon! If you don't have the exact colors listed...no worries. Pick something close to it and have fun! If you post to an online gallery, be sure and use the key word: CTD197. 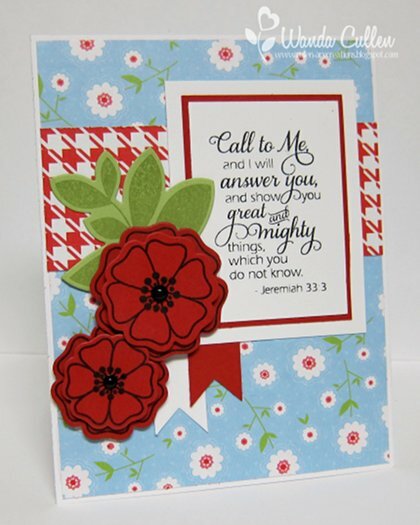 You don't want to miss the great cards by the rest of the design team and by our talented guest designer, Anna Wight. You can check them out HERE. ACCESSORIES: Houndstooth die and banner die by 'Lil Inker Designs, Mini rolled roses Die-Namics by MFT, Chevron Die-Namics by MFT, Jute twine, Corduroy brad by SU, EF, Frond punch by Martha Stewart, Corner Chomper. 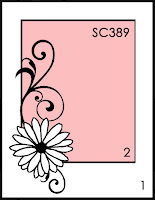 I needed a bridal shower card and knew when I received the invitation in the mail that I wanted to CASE it! 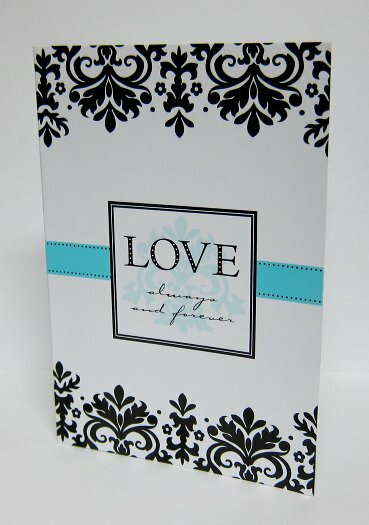 The BG flourish (Verve's "Accent Notes") was stamped with Cool Caribbean ink before the sentiment (Verve's "Love Notes") was added using Versafine Onyx Black. 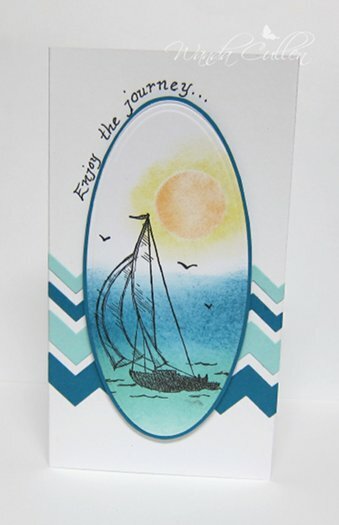 Some Hawaiian Shores ribbon by PTI and stamped lacey borders from the Hattie "Remember" stamps set (MME) finished off this CAS design. Easy peasy! 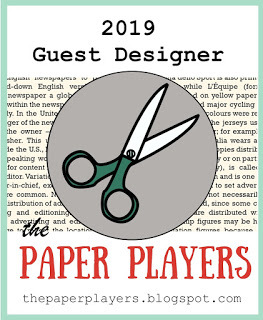 I wanted to honor today's Featured Stamper on SCS...the talented Emily Keaton (aka ejkeaton) who has a wonderful gallery filled with so many gorgeous creations! I decided to CASE this clean and simple card HERE. 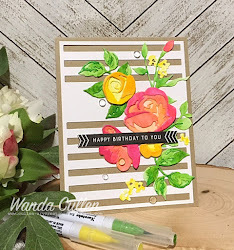 I loved her single bold bloom but wanted to combine this with Chupa's Saturday Sketchbook Challenge, so used a trio of blooms instead. I started to leave it as a strictly one layer card, but I couldn't resist the tiny black edge that made it pop so much more! 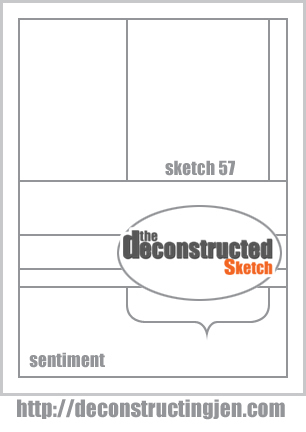 I rounded all 4 corners instead of just two as in the inspiration card. I also added some yellow Stickles to the center for a bit of sparkle. COPICS: R20, R24, R27, R29, R0000, YG11, YG13, YG17. I wanted to play with the CAS Viva la Verve Challenge that Janelle posted on Friday and was trying to come up with something for inspiration. That's when I remembered that Cathy McCauley (aka cathymac) is this week's queen for the day on SCS, so I went to her gallery, and WOW, what an incredible gallery it is! 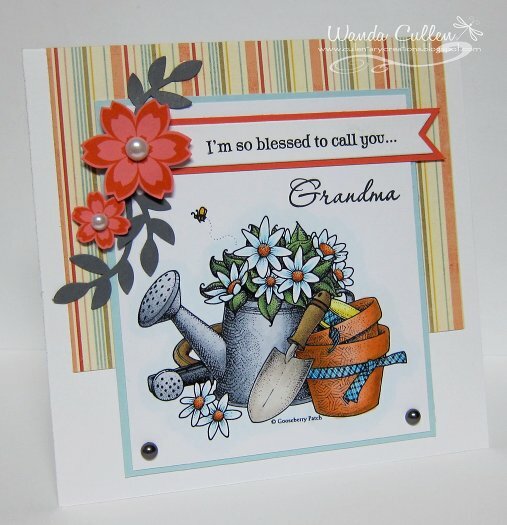 She has so many wonderful cards, but the card HERE is what triggered my plan for my card. 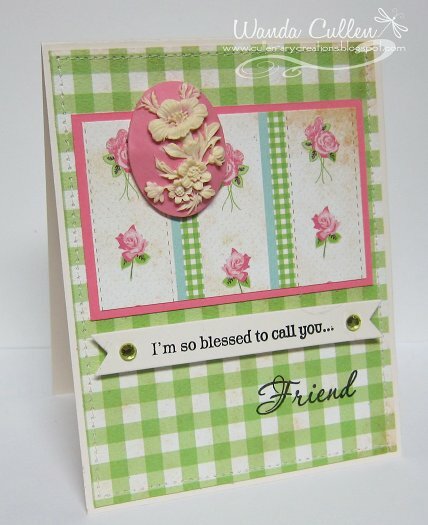 I loved the green gingham checks for the BG and the way she stamped her sentiment right on the DP! I've had these cameos from Webster's Pages for quite awhile, so the small oval element in the sketch was just the cue I needed to use one! 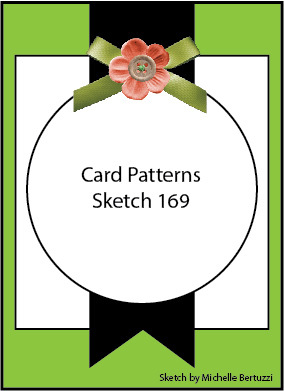 Since the DP had stitching as part of the pattern, I stitched around the edge of the gingham panel. We had a gorgeous day in VA today...sunny...not too hot... a slight breeze...just my perfect kind of day of weather! Hope your corner of the world was good to you today as well! 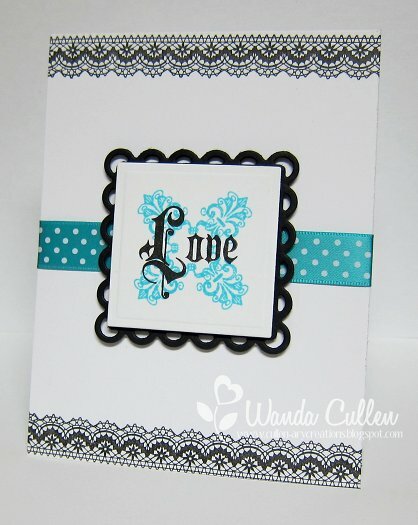 ACCESSORIES: Silhouette by Webster's Pages, Banner die by 'Lil Inker Designs, Rhinestones. I stamped off once with the ship and compass using images from SU's The Open Sea set. 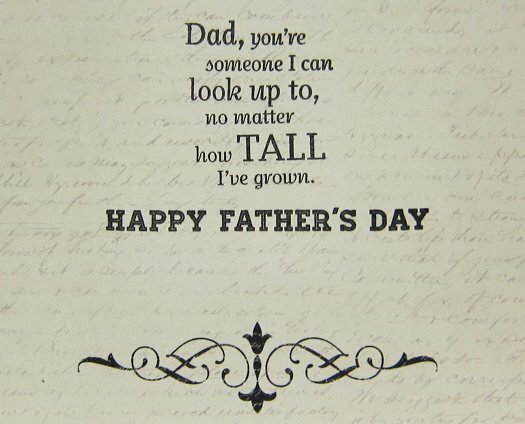 The sentiment is from Flourishes' Father's Day set. 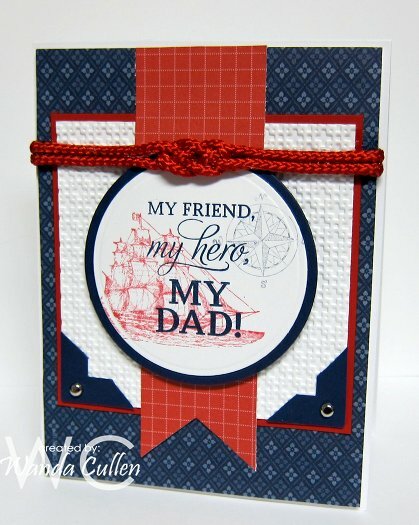 I created a sailor's knot from red lacing cord by Simplicity. 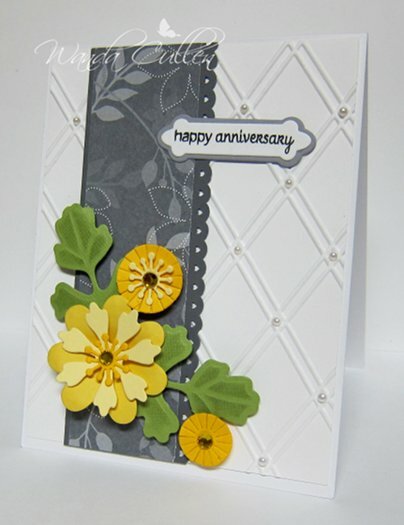 The embossed BG is the square lattice folder by SU. I created this CAS card for Flourishes "Pop It" noontime challenge and it's also a CASE of this lovely card on the right by Joy Taylor on Chupa's CASE Study Challenge. I colored a portion of the magnolia image, cut around it and popped it with foam dots. I added yellow Stickles to the center for a touch of sparkle. Fortunately, I don't need a sympathy card right now, but I needed to build up my reserve in case I do need one. 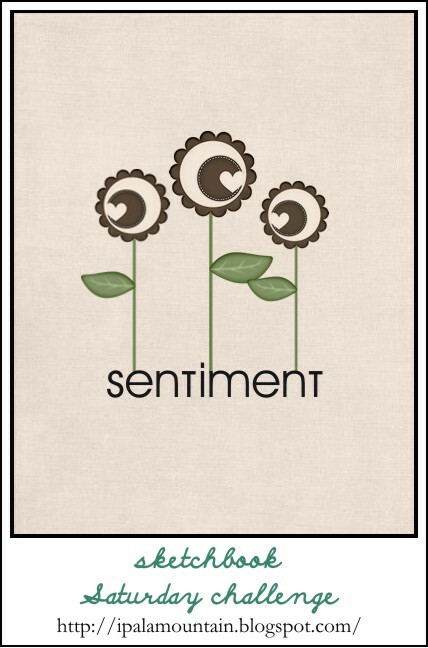 STAMPS: Magnolias (Flourishes), Calla Lilies (Flourishes)-sentiment. 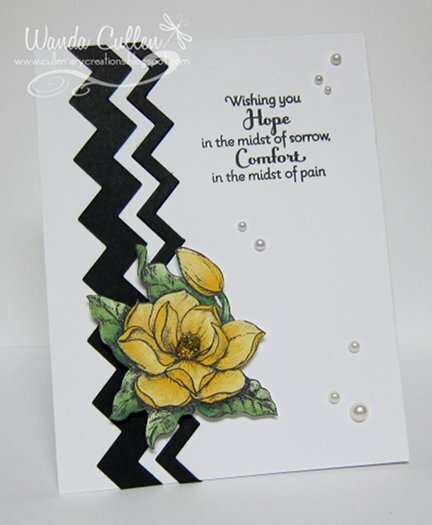 ACCESSORIES: Chevron Die-Namics by MFT, Yellow Stickles, Adhesive pearls. 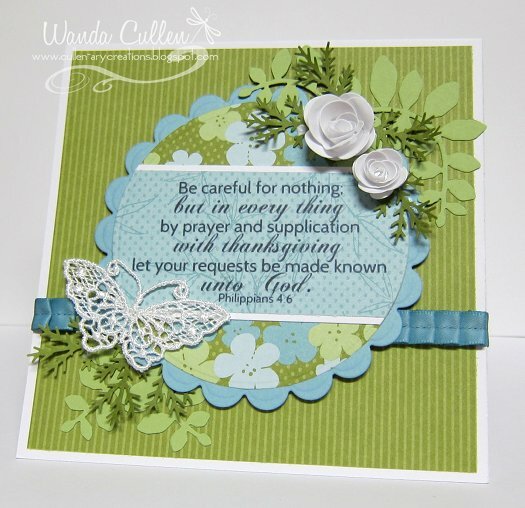 This card was made for a dear cyber friend who is going through a tough time and needs some encouragement. 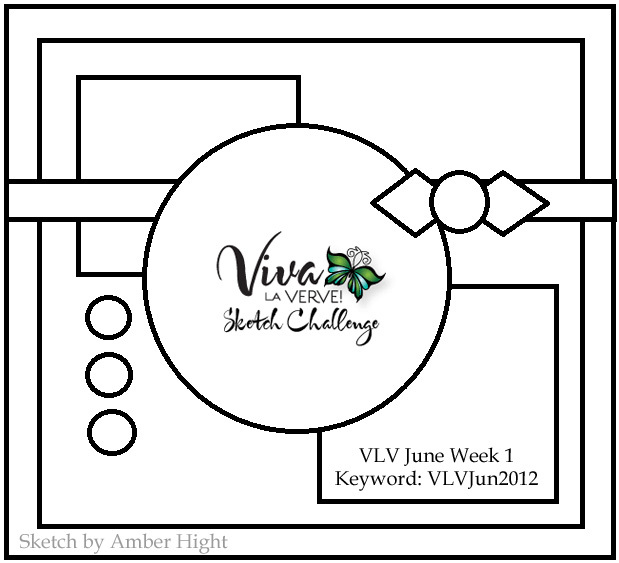 I used Amber's great sketch for week one's Viva la Verve Sketch Challenge and loved working with it! It will be a go-to sketch for me again. I will hate when I run out of this retired paper, because I totally love the colors together. I hand cut the flowers and then cut into the petals so I could fluff them up a bit. 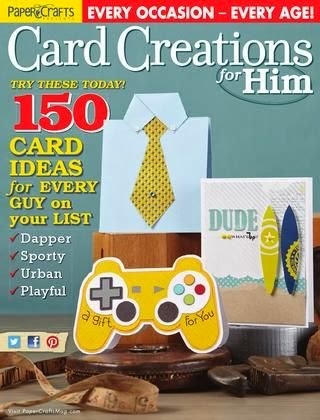 The card is 5 1/4" square. ACCESSORIES: Corduroy brads (SU), Leafy Sprigs die by Verve, Doily Die-Namic by MFT, Bermuda Bay grosgrain ribbon by SU, Circle Nestie. 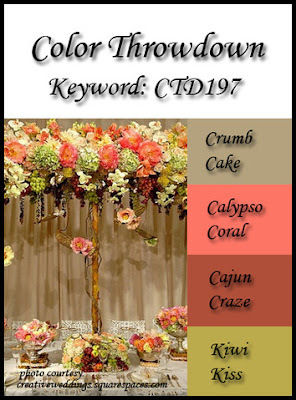 Danielle is the hostess this week with some fabulous colors for the Color Throwdown Challenge! 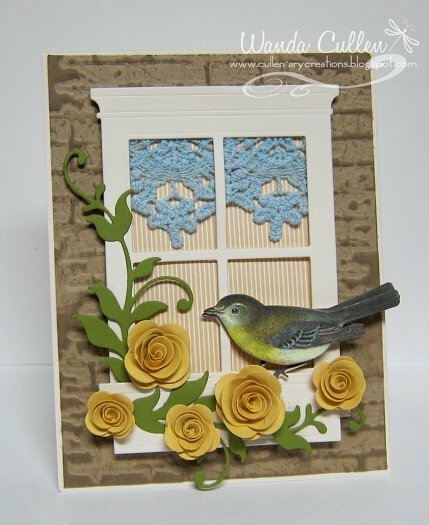 I wanted to create a window scene with some blue lace "curtains" and a window box filled with saffron roses. 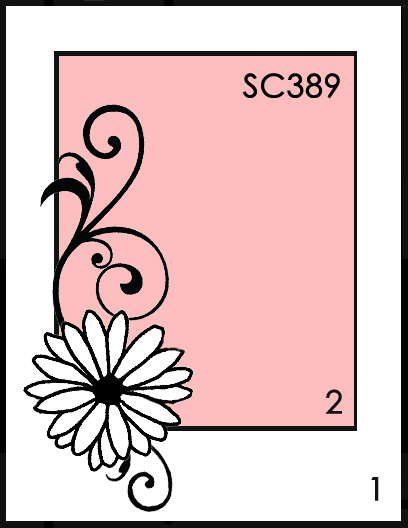 The BG was created with a Tim Holtz EF to which Crumb Cake ink was swiped lightly over the raised surfaces of the Crumb Cake CS. The striped "wallpaper" is from SU (from one of their older 6x6 packs). 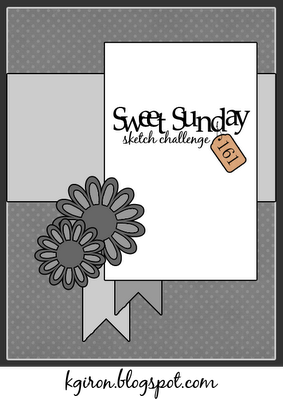 I also used Korin's layout for the Sketch Challenge on SCS. ACCESSORIES: Grand Madison Window die, Grand Flower Box die, Bird sticker by K&Co, Mini rolled roses Die-Namics by MFT, Leafy flourish Die-Namics by MFT, Bricked EF by TH, Lace. 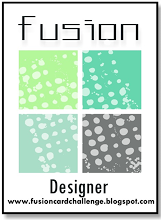 We are thrilled to have Anna Wight join the Color Throwdown team as the guest designer for the month of June! You'll want to visit her and the rest of the DT HERE for some awesome inspiration! It's a rainy Monday morning, so my outdoor plans are on hold for now and I got crafty instead! I loved the colors in the CR84FN Challenge - yellow, gray and neutral! 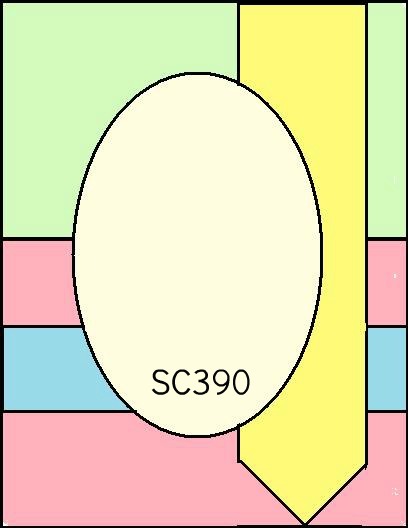 The CAS Challenge on SCS is to use white layers, so this card meets both challenges. 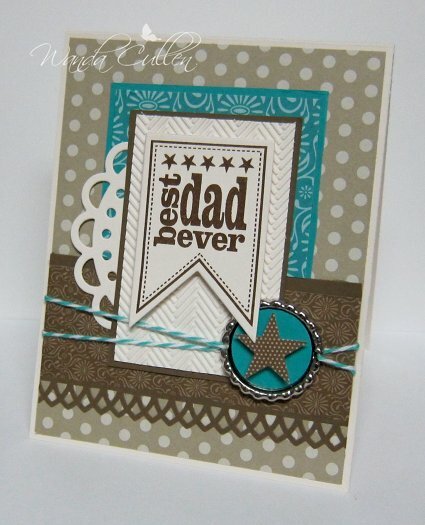 I layered the embossed diamond panel over the CS base and added some tiny pearls for added texture. 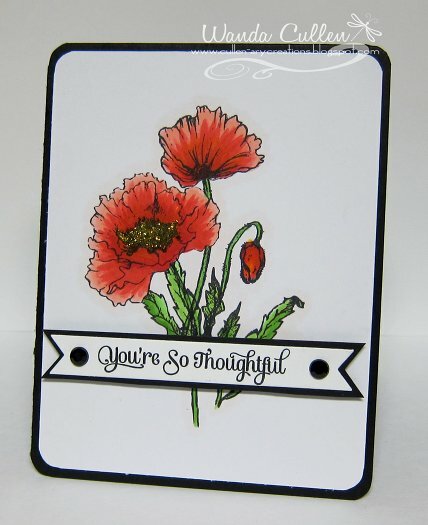 The flowers and leaves are all quick die cuts - flower Die-Namics by MFT and Foliage die by Spellbinders. 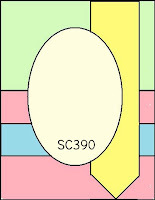 PAPER: Going Gray, Basic Gray, Lemon Tart (PTI), Daffodil Delight (SU), Summer Sun (SU), White (PTI), Walk in the Park DP (retired by SU). 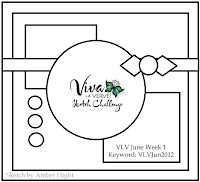 Loved Tosh's great layout for the second week's Viva la Verve sketch challenge! I pulled some fave retired DP by SU and went to my fave banner die by Verve. I ran my bottle cap through my Big Shot to flatten it out and make it easier to mail. What seemed like a difficult sketch initially actually fell together quickly and think I'll be using this one over and over. ACCESSORIES: Bottle cap (Michael's), Bakers twine, Small star punch by SU, Arch lattice border punch by MS, Doily Die-Namic by MFT, Herringbone EF, Ribbon banner die by Verve, 1" circle punch. ACCESSORIES: Corner chomper, Cream grosgrain ribbon by SU, Button (PTI), Sentiment flag die by 'Lil Inker Designs, English Tea Party doily die by Cheery Lynn Designs.